“We are excited to the debut the MGallery brand in Qatar. Each boutique hotel in the MGallery collection tells a unique story and perfectly blends modern design with local history and heritage. The opening of the Alwadi Hotel is the result of a growing demand from travelers for hospitality concepts, which offer unrivaled experiences, catering to both business and leisure needs,” said Mark Willis, Chief Executive Officer, Accor Middle-East & Africa. Qatar is a destination that’s more and more popular with holidaymakers. With temperatures almost never dropping below 25 degrees, even in winter, the little emirate is perfect for sunbathing. Blending heritage with cutting edge, desert with new-build, its capital Doha is sure to delight you with its bay, its spices, its souks, its Islamic museums – especially the Museum of Islamic Arts, designed by Ieoh Ming Pei (architect of the Louvre pyramid), which brings together some 4,000 artefacts and offers a breathtaking view of the city. 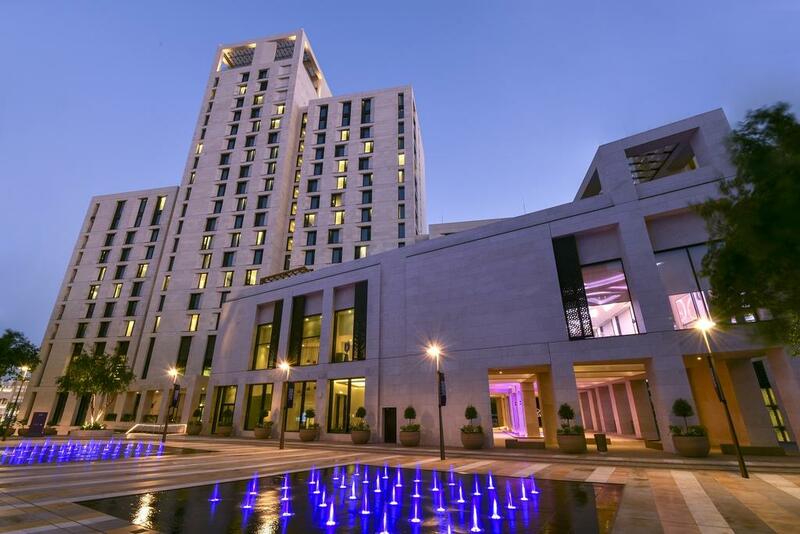 The Alwadi Hotel Doha – MGallery stands right in the heart of the capital’s new Msheireb Downtown Doha, one of the most sustainable and eco-friendly districts in the world. It is the product of a city-center renovation launched in 2010, with a sole objective: reinvigorate the ancient historic quarter with a modern vernacular architecture inspired by aspects of Qatari culture, while employing cutting-edge technology and respect for the environment. With contemporary Qatari decor, the 213 rooms and suites of the Alwadi Hotel Doha – MGallery have seen a steady stream of customers since the opening on 12 March. A perfect example of Qatari hospitality, it combines modern design elements with a Qatari-inspired decor. On the catering side, the hotel includes 3 restaurants and 2 bars. The O’Glacée serves a light Mediterranean cuisine beside the pool. After sunset, it becomes a tapas bar. The Sofra offers the finest Gulf cuisine, including local specialties as well as simple and traditional dishes honoring the region’s culinary heritage. The Colonial is the 1st restaurant in the city dedicated to breakfast. For a pick-me-up along with breathtaking views, head for the Infinity bar on the roof and its cocktail collection from 35 world cities. The AtTeatude tea room is the perfect spot to enjoy a hot drink, a business lunch, or afternoon tea. The hotel spa offers you an invigorating massage in an impressive setting. The hotel features a large ballroom and 5 meeting rooms for up to 415 guests.